Blast off with the Martin Professional Thrill Vertical Fogger! 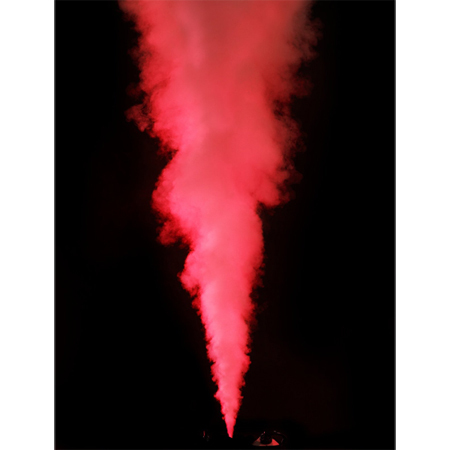 This high-pressure pyrotechnic-style lighting effect uses blasts of fog and bright LEDs to create pillars of richly colored vapor an impressive 25' tall. It's ready to go after just eight minutes of warmup time, and a 2.5-liter tank means you won't have to stop the show to fill up. 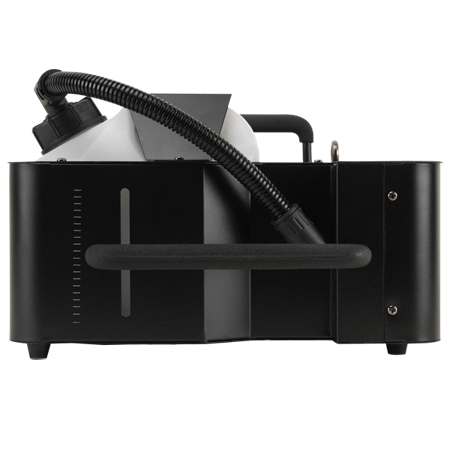 More impressive is the sheer flexibility of the Thrill Vertical Fogger. 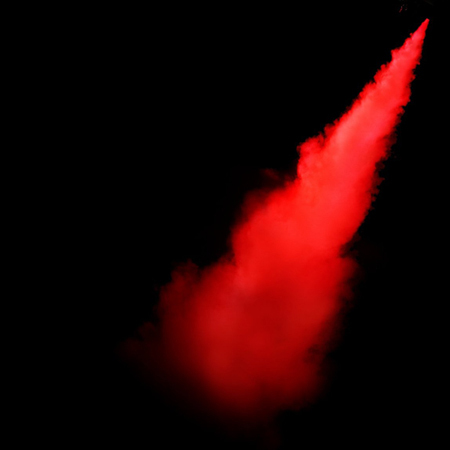 This lighting effects instrument will happily fire off at virtually any angle, including upside down. 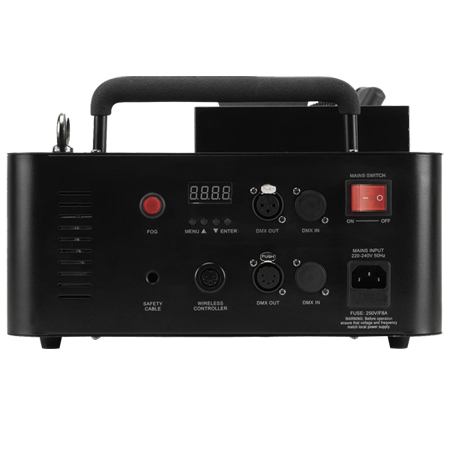 It's fully compatible with your favorite DMX controller too, and if you don't want to bother with DMX, the Thrill Vertical Fogger's included 4-channel wireless remote will serve you well. 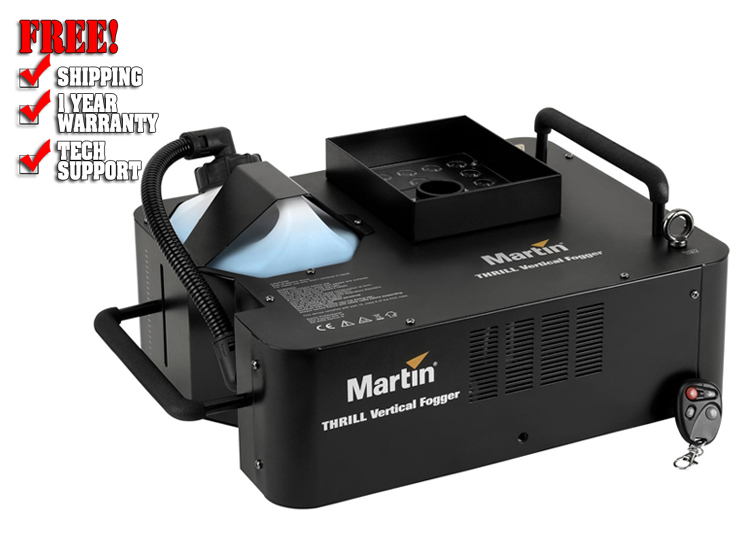 While Martin Professional calls it the Thrill Vertical Fogger, this lighting effects instrument goes way beyond vertical. In fact, you can pretty much mount this fixture from any angle and get the performance you demand. 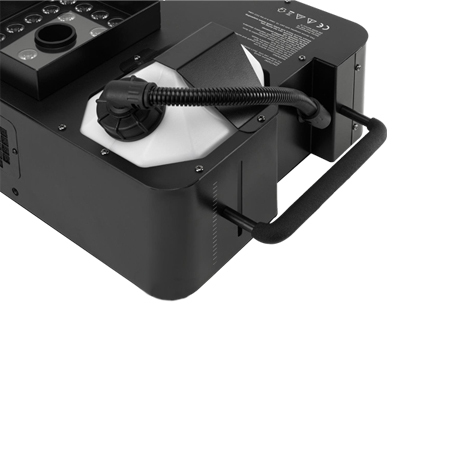 The included multipurpose mounting bracket lets you tilt the Thrill Vertical Fogger without the need for stands or other hardware. Whether you want to fly it or affix it to your truss rig, you'll get a ton of mileage out of this amazing geyser-like fog effect. 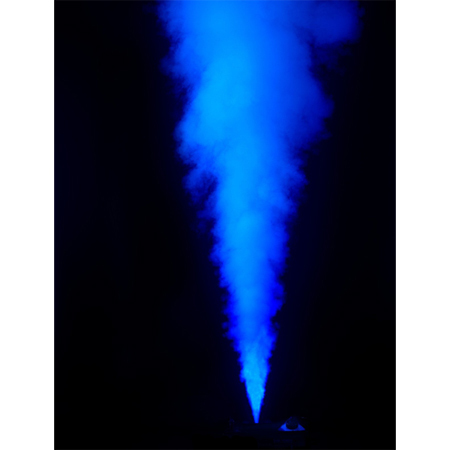 One thing the lighting techs about the LED technology in Martin Professional's Thrill series is the way onboard color mixing allows you to achieve a broad range of colors – without ever touching traditional gels. 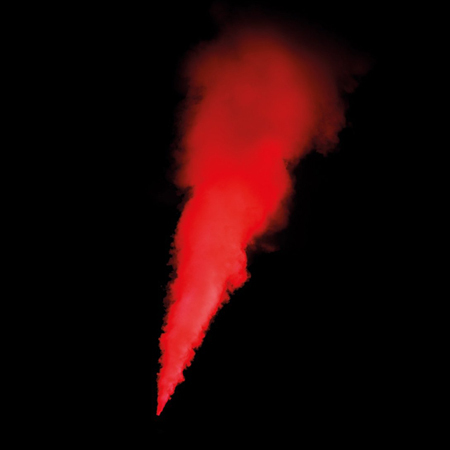 Even the most modest fixtures feature red, green, and blue LED filaments, which provide you with more colors than the eye can see. 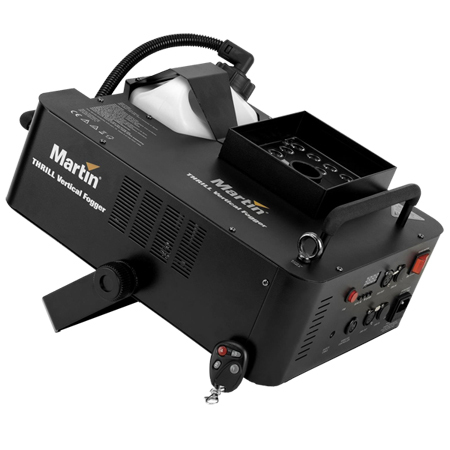 In short, color mixing via DMX control or the included remote control lets you save time and money with your Martin Professional Thrill Vertical Fogger. 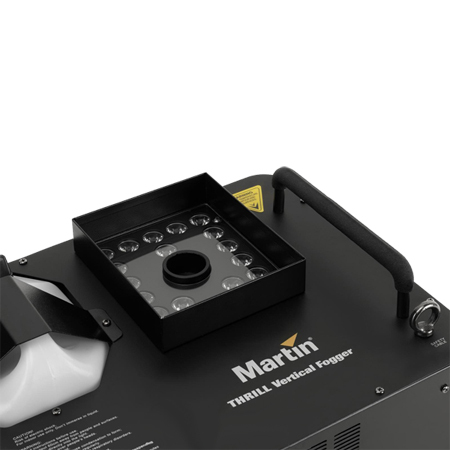 Martin Professional's Thrill series delivers the full benefits of modern LED lighting to your venue or portable lighting rig. Using the latest in COB and other LED technology, Thrill series lighting fixtures provide impressive illumination at a fraction of the cost and heat production of traditional lighting instruments. As a LEED Platinum certified company, It is a major proponent of this type of LED technology, and we use it extensively throughout our campus and on our own performance stages. Functions flawlessly from virtually any angle – even upside down!